The volunteers of the Group are a well known sight in The Bourne as they go about a wide variety of tasks directed at conserving the local environment and its wildlife. 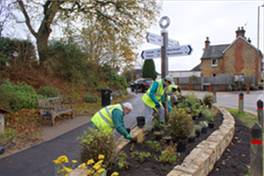 Their work and achievements are greatly appreciated by both local residents and the many visitors passing through The Bourne village on their way into and out of central Farnham. What do we do? 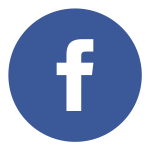 Membership is free and open to all and consists of people from many walks of life. The range of work and activities provides interest and enjoyment for a spread of ages, knowledge, aptitudes and physical abilities. In a typical winter month the tasks undertaken might include thinning out holly and laurel trees, working in the Community Garden and keeping our 10 miles of footpaths clear of excessive vegetation. In summer the emphasis shifts to jobs like tending the plants at The Bourne Crossroads and grass cutting in the Old Churchyard as well as leading wildlife and heritage walks for the benefit of the Community. Never a dull moment in a crowded seasonal calendar! It’s Not All Work! The intention is to make sure that whatever we do is fun. There is always a coffee break during the work sessions which is a chance not only to draw breath but also to meet up with old friends and chat about what is going on. There are other similar opportunities to get together during the year such as the Annual Social in January and the AGM in September. Programme of Conservation Work. The basic work pattern consists of one session each month on a Sunday morning starting at 10.00am and running until 1.00pm. In order to cope with the amount of work to be done, sessions are also held in mid-week which suits the lifestyle of some members. Advance notice of all work sessions and other events is always available on the website (Click here). Each individual session is then notified by e-mail direct to members at about one week’s notice, which allows urgent tasks to be dealt with adequately. A Newsletter is sent out three times a year. Membership. In addition to regular members (who contribute their labour and pay no subscription), a class of member called the Friends of BCG has been instituted. These are local residents who help and support the Group in a variety of ways including the payment of a small annual subscription which helps towards running costs. In addition to Members and Friends there are other volunteers who make a valuable contribution to BCG activities. These include Footpath Wardens, some residents who help on a daily basis at specific sites and youngsters, many of whom are undertaking conservation work as part of their Duke of Edinburgh Award. Cooperation. 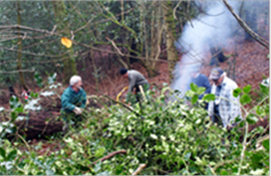 Although BCG concentrates its work in the local area, it is also outward looking in the way it cooperates with other conservation groups and agencies including the appropriate departments of the local authorities, the Surrey Wildlife Trust, Surrey Voluntary Action and the Blackwater Valley Countryside Partnership. (Click here). The Group has also used its experience to contribute to the formulation of the Farnham Neighbourhood Plan and, on occasions, to staunchly resist planning applications that are clearly unsatisfactory from an environmental standpoint. Milestones. The need for a local conservation group arose in 2002 from the inability of the responsible authorities to allocate sufficient priority or funding to routine estate management tasks. By working in cooperation with them, BCG was able to impact significantly on the maintenance process and this continues. More recently, however, the emphasis of the Group’s work has considerably widened to include the enhancement of biodiversity in the local area and the preservation of its heritage. The significant milestones given below give a vivid impression of the scope and variety of the work undertaken. Assist in building an Otter Holt on the river Wey. Survey footpaths for Surrey County Council and build rustic steps on The Bourne Green. 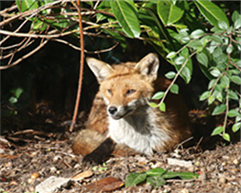 Take part in Wildlife Warden Pilot Scheme. Start to clear The Bourne Stream of Himalayan Balsam. Commence first independent project at The Bourne Crossroads and carry out the first planting of Spring bulbs along roadsides. Project with Scouts along Sturt Walk. First Work Session at Langham’s Recreation Ground. Group features on BBC TV “Autumn Watch”. Contribution to Farnham’s national Gold Award in the In Bloom competition, Three days working with the owner of Sable Wood building a set of sturdy steps to prevent further erosion on a popular footpath, (Click here). The Bourne is a relatively ‘green’ and attractive area with a number of distinctive features that make it a popular place to live. Part of this is the network of patches of woodland and over 10 miles of footpaths and bridleways. At the start of the Group’s work the woods were overgrown with an under-storey of laurel and holly and some of the rights-of-way were virtually impassable. It was this situation that led to the formation of BCG and so the focus of work in the early years was very much on woodland management and footpath keeping the footpaths open and safe. There are always such tasks to be done and work on them has never ceased so that the overall state of the network has very greatly improved. Since the end of 2008, this has been reinforced by the institution by BCG of a Footpath Warden Scheme to provide a quick response to problems as they occur. This is now mirrored by the institution of the county’s own Footpath Warden scheme. From an early stage the Group sought challenges outside the scope of the local authority tasks. A start was made by organising a survey of The Bourne valley to determine whether or not a well documented colony of Great Green Bush Crickets was still present. Sadly, it was discovered that the colony had disappeared due almost certainly to unmanaged tree growth in the valley but, from BCGs point of view, this was part of the learning process of understanding local biodiversity issues. Soon afterwards, at our initiative, a project to rid The Bourne Stream of Himalayan Balsam was started. It is still going on and has helped the Group not only to learn about the problems of invasive, exotic species but also led to a better knowledge of the area. In 2005 another major milestone in BCGs evolution was reached with the invitation from the County Council to be one of two volunteer groups to take part in a Wildlife Warden Scheme designed to examine the feasibility of introducing a warden into every parish. When the results were assessed it was determined that the basic idea was not feasible in that form, but the exercise had been invaluable for BCG in pulling together much previous experience and in further developing knowledge and skills. 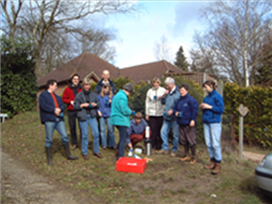 It was also the beginning of an enduring partnership with the Surrey Wildlife Trust who administered the trial. Gradually the Group’s profile was being raised but it was decided that further steps could be taken in that direction as a way of increasing local awareness of the importance of conservation, and also of recruiting new members to help cope with the steadily rising workload. For these reasons the first stand-alone, funded project was launched. 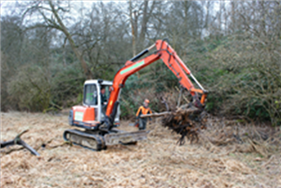 This consisted of clearing the overgrown and litter-strewn embankment near The Bourne Crossroads and planting it with native species including wildflowers. The scope of the task extended to renovating this prominent corner in the village including creation of a raised flower bed and restoring the bench seat. The success of the Crossroads endeavour led to a series of similar projects of gradually increasing complexity. These have included the Ridgeway School entrance, the Middle Bourne Lane Community Wildlife Garden and the Old Bourne Churchyard. 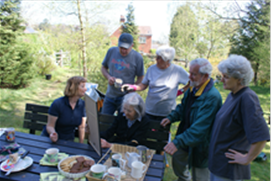 Each one has been approached in a similar way, using the Surrey Biodiversity Action Plan as a guide and drawing upon advice from colleagues in the Surrey Wildlife Trust and other professional organisations as required. In this way the Group’s own expertise on local wildlife and habitat creation has increased considerably. 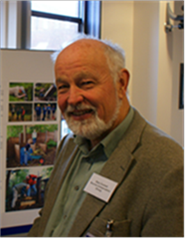 This was well illustrated in 2009 when the Middle Bourne Lane Community Wildlife Garden was entered into two competitions in both of which the Group attained excellent results. This trend was picked up in later years when Farnham entered the Large Town category of the Nation in Bloom Campaign. 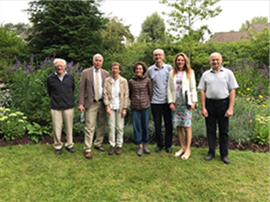 BCG was proud every year to present the Middle Bourne Lane Community Garden to the judges and pleased that the site scored particularly highly in the Environmental Responsibility and Community Activity sections. This led to an appearance on BBC television in 2016 and contributing to the town’s national gold award in 2017. As its knowledge and expertise in the area of biodiversity has grown, BCG has recognised the close association of its work in the community with the history of the area. This theme was underlined once work started on the Old Churchyard project at the end of 2008. The result was the initiation of a Historical Project in 2010 to trace and record as much information as possible about the more than 700 or so people buried there.This project has developed into BCG leading walks in the Farnham Society’s Heritage Weekends every September and to participation in a new venture from 2017, the Farnham Walking Festival. Experience has shown that once started, a project can never be completely abandoned. There will always be routine maintenance that needs doing, otherwise nature takes over and all the earlier good work is lost. Therefore a balance has had to be struck between the manpower resources available, the routine work that must be kept up to date. This is well illustrated in the case of the Old Churchyard where, once the initial Project Plan was completed, subsequent work has been guided by a comprehensive Management Plan.